Each monthly box includes your classic Tooth of the Lion items, as well as products made by a local herbalist or farmer. We selected fellow herbalists who inspire us and who work in different capacities to contribute a unique perspective to their communities. Some folks have herb farms or businesses, and others make products on a smaller scale but provide other healing or educational services. Everyone included creates high quality herbal products, uses herbs that they grow or purchase locally, and formulates each item with care. Read more below and check out their work! Herbalists are listed in order of their 2019 featured month. If you grow and make herbal products and are interested in joining us, please reach out and see if it’s a good fit. Mandy Katz is a gardener artist musician poet plant-person. She has been growing veggies, flowers, and herbs in vacant lots with neighbors in West Philadelphia since 1995 and working as a gardener at Bartram's Garden in Southwest Philadelphia since 2005, where she cultivates plants in a whole spectrum of wildness. She is interested in developing deeper and wider awareness of the plants all around us in the city and beyond, the histories and futures they share with us, the gifts they offer, and how we can give back to them. Kelly McCarthy is a West Philly based clinical herbalist with a passion for getting people excited about the plants in their backyard. With an focus on simple, safe, common plants, she regularly teaches herbal workshops that empower people to take care of themselves and their communities. Kelly also has a small private practice seeing clients at her West Philly office / apothecary. Linda is an herbalist with a foundation of knowledge that sprouted in the forests of Oregon in 1999, learning about forest ecology and the medicine that it can offer. In 2008, after moving east, studying nursing, working in critical care, feeling lost and in need of community, Linda and her husband Eric started farming organically in Doylestown, PA, focused on certified organic medicinal herbs. Linda believes to achieve health, we need to find ways to re-establish our broken connections with our wild and beautiful planet, starting with what grows beneath our feet. Learn more about Linda and Eric’s farm! Martha O’Neill is a farmer and an herbalist. For the past 7 years she has explored cultivated and wild spaces through her work as a farmer, herbalist, artist and gardener. She makes preserved botanical pressings called "Flowers I Squished" and has been a member of our farm crew for the last two years, most recently managing the medicine making operation here at Tooth of the Lion . Martha is now growing and making medicine in the Germantown neighborhood of Philadelphia and is committed to working with other herbalists in and around Philadelphia to make medicine that is financially accessible. Marian Dalke is a Community Herbalist and Women's Herbal Educator. Marian has over 12 years of experience in intergenerational health and wellness programming, sustainable agriculture and food justice movements. 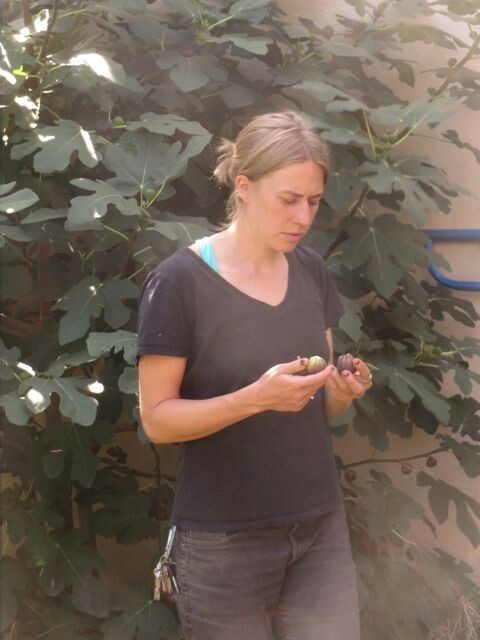 With family roots in the Shenandoah Valley, Marian has worked throughout the Eastern US and Latin America studying medicinal herbs and agro-ecology. An 8 month introduction to herbalism and gardening, this course is taught through a lens of herbalism as a tool for social justice. At Bartram's Garden, students grow medicine from seed, tending the gardens throughout the season, making medicine along the way, as well as getting in depth looks at a few dozen plants, the body systems, and how to use herbs to support their own health and the health of their communities. Students also engage in discussions about cultural appropriation, racism, and how herbalism can support movements for social justice. Nykisha is a woman, wife and mother who believes in living life authentically. She is committed to growing food sustainably. Nykisha is the Farm Manager at Urban Tree Connection's Neighborhood Foods Farm. Her passion is providing high quality food in places where there is limited food access. Community led- farmers markets are a bridge to food justice and she does her part by bringing high quality produce to food insecure neighborhoods. 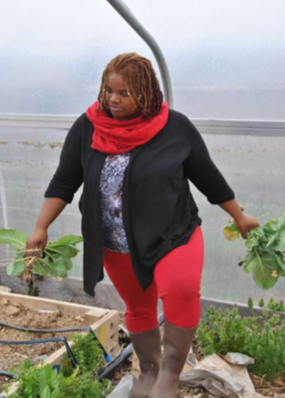 Nykisha is the first African American woman to be a Steering Committee member of PA WAgN (Women Agricultural Network). She also serves on The Food Trust community advisory committee. She uses her power and influence to promote a healthier lifestyle for her community and is committed in making quality food accessible for those in food insecure neighborhoods especially Haddington. Julia Aguilar is a mestizx Latinx plant worker, raised in the Wissahickon valley with family roots within the volcanic Andean mountains of Ecuador, and rolling moors and rocky coasts of Ireland. She is a gardener, history nerd and bryophyte enthusiast who examines & uplifts cultural relationships to healing plants. In her herbal work she bolsters kitchen medicine, body sovereignty, queering body education, communal medicine exchange and BIPOC plant heritages. As a child, I always had a passion for nature, gardening and understanding how things work. Always keeping my hands in the soil and taking things apart, I formally studied engineering and took various classes along the way on gardening and herbal remedies. Systems Engineering with its "big picture" approach, gave me a renewed heighten awareness and appreciation of the multitude of nature’s harmonious systems. Each new gardening and herb class give me an opportunity to practice in nature’s playground. All grown up, I teach about homesteading topics we are working on and things we make homemade on our “urban homestead” in Philadelphia, PA. We have a garden (vegetable, herb, flower), composters, beehives, and much more. When I’m not homesteading and I’m creating tasty raw vegan recipes and making kombucha. I also enjoy motorcycling, hiking, camping. Being a Doula, a Womb Sauna practitioner, homeschooling, and many other outlets take up my extra time. @ManaManaManifestations on social media platforms is where I write and post about my “fabs” (successes) and fails (I know the internet is filled with perfect photos, but I’ll share my flaws). Some fabs get sold on our Etsy shop. The fails will be highlighted as lessons learned in my next class or workshop. Nature is the greatest teacher! I'm a certified Reiki Master practitioner and folk herbalist for three years; single mother of a dope little human, for nine; queer, enthusiastically Black (descendant of American chattel slavery), channeler for 34 years. I believe that healing is about opening up to greater levels of perception; supporting the bridge between our conscious self, the natural world, and the unseen world that labors lovingly on our behalf. My practice is a synthesis of energy work, intuitive channeling and plant medicine. It’s Earth-based, with a cosmology adapted from channeled guidance and the spiritual system of my ancestors (Ghana and Burkina Faso). Working with plants and herbs, is how I came to know myself, connect to my ancestors, and support the flow of my energy work. I use plants medicinally and spiritually, creating formulations for remedy AND ritual. I love thrift stores and flea markets, the woods, lemon pound cake and sweet potato pie, vintage cars, Riesling, belly laughs, and spending hours doing nothing with the women who are my best friends. I offer sliding scale Reiki, ancestral energy work and herbal workshops to my community, at my studio in North Philadelphia. Lancaster Farmacy was founded by Eli Weaver and Casey Spacht in 2009 after returning to our roots in Lancaster County from a background of grassroots activism, community organizing, cooperative models, farming, herbalism and rewilding. We seek to grow and provide local organic herbs, produce and flowers for our community. Our goal is to support our bio region by securing the opportunity for all living beings to have access to these things. We are reclaiming our health by growing our own and restoring the knowledge of natural healing and growing traditions. In the growing food movement we see the need for reclaiming our health and making it accessible at the local level.